It is a bright summer morning on the farm - the roosters are crowing, the sun is shining and the table is set for breakfast with a well-loved checkered tablecloth. 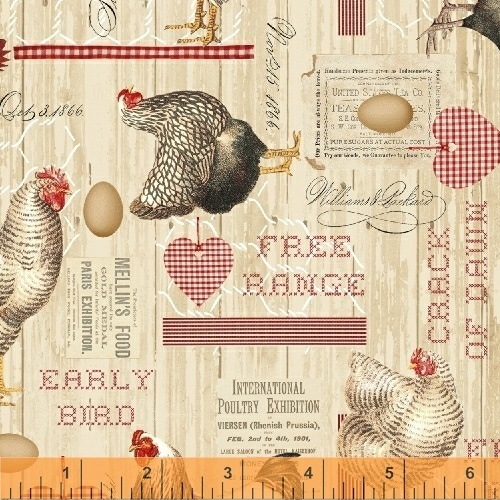 Early Bird, with chickens, eggs, newspaper clippings, woodgrain and the ever-important chicken wire will make a perfect picnic quilt - but why stop there? The collection also lends itself to curtains, table runners, placemats and napkins. Pairs beautifully with Artisan Cotton.